Fishing is one of a great pastime activity, but it surely does require certain things to complete your fishing journey. Time is one of the most important elements here. However, it is far from the only element you are going to need. Equally, if not more important is the rod you will use for fishing. It is far more than an ordinary tool due to the fact it allows you to catch a specific type of fish and to improve your overall success. A bad rod will have a huge, negative effect! 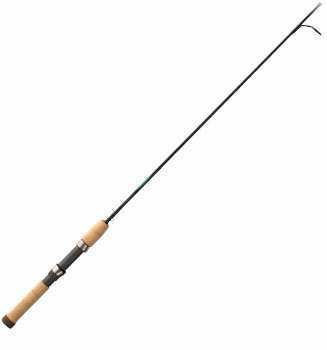 This St Croix premier spinning rod review we have prepared will help you understand why this rod may be the perfect choice for you. Here is a quick recap on what we think of this spinning rod. May be too sensitive for beginners. Why Consider St Croix Premier Spinning Rod? It is known that all St Croix rods are well-made, they offer the highest quality and are suitable for both novice and even professionals. The St Croix premier spinning rod isn’t any different. This particular model is the high-quality spinning rod of the newer generation. However, it is made with the help of the latest technologies, so it is far more than an ordinary rod you can purchase almost anywhere. But, you should mainly consider this model because it is available in different sizes, with different power ratings and different speeds. This makes it ideal for each and every fisherman who is looking for a brand new rod. Furthermore, this makes it a superb choice for beginners, intermediate fishermen and also professionals. We can say that the tested model is a right choice for most of us. Anyway, two types of fishermen will appreciate this rod the most. 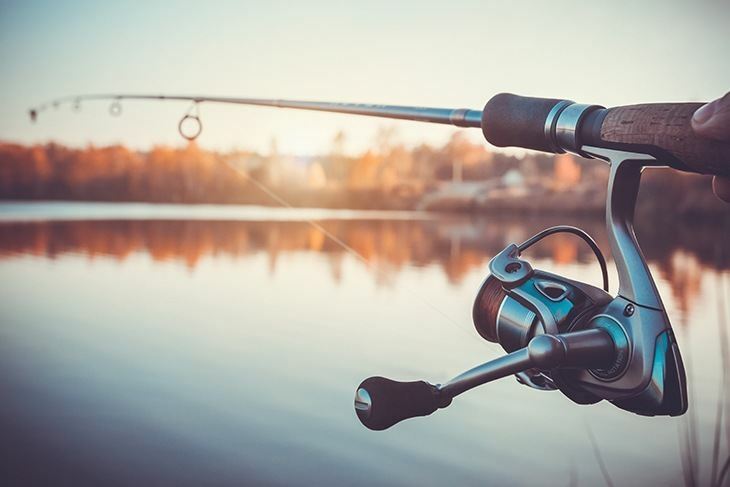 The first type is those who are looking for a rod for fishing trout. There is no other word than perfect. The rod will perform excellently in any situation and you are going to appreciate it as much as possible. The second kind of fishermen who will like the rod are those who want well-balanced, fast-action rod. It is also an excellent choice and probably one of the best those fishermen can make at this particular moment. So, if you are one of them, now you know which rod to choose. As we have mentioned earlier, the tested rod is perfect for different types of fishermen. At this moment, all we can add is that it is designed and made in the United States, in Park Falls more accurately. And yes, there are several, main features we will have to discuss here. This is a premium-grade graphite and it is one of the best materials used for rods of all types. It is appreciated due to the fact it is lightweight, yet incredibly strong. This made it the top choice of many brands including the one we have here. However, the material in question is appreciated thanks to the improved sensitivity. This makes the rods made out of it superb when a fisherman needs added sensitivity while fishing. The bottom line is that you get a simple construction with the best characteristics. The next best thing about the model in question is the guides. 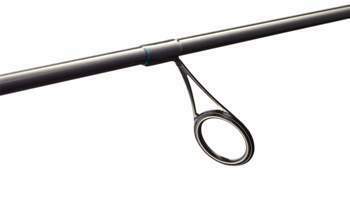 The St Croix premier spinning rod comes with guides made of special aluminum-oxide material. This is an advantage simply because they are strong, they cause less friction than usual and they even look great. The black color makes them look special and highly desirable. The same guides are used for other rods made by this brand. They have a high satisfaction rating obtained from the owners and they are among the most desirable type at the moment. Of course, their efficiency and their durability are the main benefits. A rod which isn’t precisely tuned won’t do you any good. It will be difficult to use and it will cause you to lose a lot of fish every single time you use it. That’s why we liked pre-tuned and fully adjusted models. All St Croix rods are pre-tuned back at the factory, so future owners get superb rods which are adjusted accordingly. The rod we tested has been in the hands of the company’s professional before it was delivered to us. Keep in mind that all rods of this kind will be adjusted on the same way, so a model you get will be carefully tuned as well. There is no need in adding that you don’t have to adjust the rod after purchase. It is ready to be used straight from the box. Did you know that all rods made from St Croix are handmade? This is an advantage in the lack of a better word. First of all, when a rod is built by a person, the attention to details is on the highest level possible. Hence, the balance is extraordinary as well. We particular like handmade rods. They feel special and the level of details is immense. They also feel different when held in the hands and it’s like they have personality. All of this isn’t the case with mass-produced rods! The handle on this rod is a masterpiece. It is made of high-quality cork which can withstand heavy-duty usages and which can be used at all weather conditions. Let’s also add the fact that this is a durable type of handle, so it is going to last as long as the actual rod. We feel obligatory to add that some owners reported that their St Croix premier spinning rod arrived with low damages of the handle. This may be the case with your purchase, but the damages are minimal and they don’t affect the overall functionality. Anyway, the handle is the primary choice of all traditionalists. If you are one of them, you will enjoy the grip it offers. We actually tested it in several, different conditions and we were more than just satisfied. If we take into consideration all or most of the features we have mentioned above, we can add that the tested unit is above the average when it comes to comfort that it offers. The rod will meet the expectation of even the most demanding fishermen and it will be the best choice, without any issues. 1. Is this rod available in different sizes? Yes, you can choose between 7 lengths. 2. Can I use it for fishing trout? Yes, it is just perfect for this purpose. 3. Can I use it in freshwater and saltwater? This rod is designed for uses in both waters. 4. Is this a 2-piece rod? No. It is a single piece fishing rod. 5. How long is the warranty? The warranty is 5 years since the day you purchased it. We are talking about standard St Croix rods warranty. 6. Which guides this model uses? Kigan Master Hand 3D guides. Yes. The model is very durable and it can withstand heavy-duty usages. 8. Do I need to adjust the rod after I receive it? No. All rods of this type are adjusted at the factory by trained professionals. 9. What’s the length of the model here? We tested 6 feet version. 10. Is the price the same for all versions? No. It depends on the size and the tension. The bottom line of our St Croix premier spinning rod review is that this rod is just perfect and we rate it at 4.7 out of 5 stars. The quality, the durability and the sensitivity are all on the highest level possible. From our test, the model performed exceptionally well and there were no major issues. Add the comfort and the ability to get any version regarding tension and length and you may have the most suitable rod for your type of fishing.